I&apos;m passionate about designing smooth, satisfying experiences that put the user first. My designs below focus on making complex features easy and intuitive, without seeking attention. 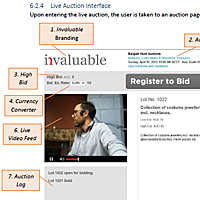 A mock user-experience review of a real online auction website. 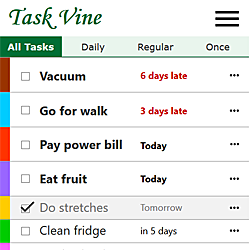 Designing a web-based task list with a glanceable, prioritised view of all tasks. 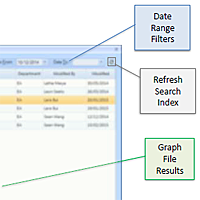 Introducing smooth intuitive workflows to an application with a reputation for frustration. 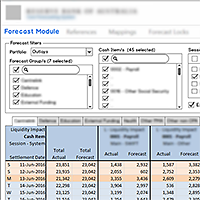 Reworking draft screen designs for a web application that was based on an existing Excel plugin. 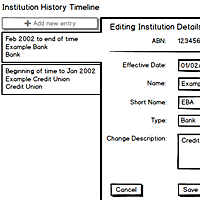 Designing screens that provide an editable history of changes to an entity (eg. financial institutions).